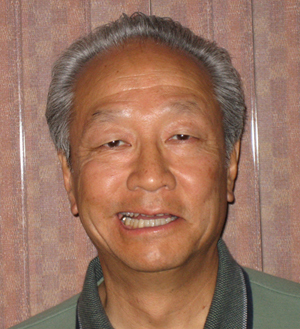 Mark Z. Yamamoto, D.D.S., M.A.G.D. 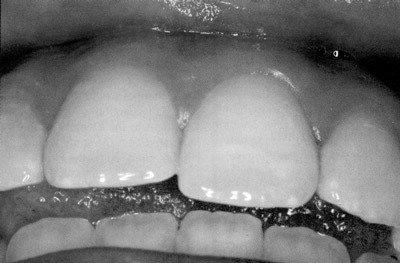 problems, but they are more susceptible to TMD due to the lack of protrusive and lateral disclusion. I have treated anterior open bite TMD patients with worn condyles who are in their seventies. 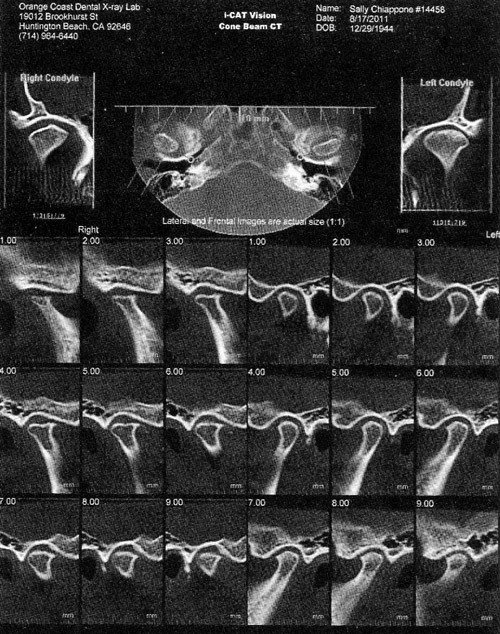 The flattened condyles are a result of years of function with no anterior guidance. This is seen in the i-CAT CONE BEAM CT scans. They had little discomfort until they were traumatized by slip and fall injuries or automobile accidents. The treatment is the same as patients who don’t have an open bite, but do have some form of malocclusion. Make Centric Occlusion (MIP) and Centric Relation coincide in a solid centric with no rocking or sliding. (Create anterior guidance with Protrusive and Lateral Disclusion. (3) The occlusal correction reduces the anterior open bite slightly. Then the teeth can be coupled operatively. Often the anterior contact is created with composite on the lingual surfaces of teeth #6 and #11 for lateral and on the lingual surfaces of #8 and #9 for Protrusive Disclusion. (4) If the central incisors are too far apart to make protrusive contact, it can be created with composite on the distal of the upper cuspids and the mesial slopes of the lower 1st bicuspids.